You have probably seen keys that are stamped ‘Do Not Duplicate.’ We want to set the record straight on this very important issue in our industry and offer some more secure options. Myth: “Do Not Duplicate” keys are more secure than regular keys. These stamps provide absolutely no additional security and have no legal enforcement backing them. So, if “DND” doesn’t mean anything, what does make a key more secure? One way that key manufacturers have sought to add extra security to their products is by making their keys harder to copy. These high-security keys often come from specific brands, which require specialized equipment to cut their keys, or closely monitor and control key-blank distribution. One example is a Mul-T-Lock key which has “dimple” cuts. These keys require specialized equipment to copy. 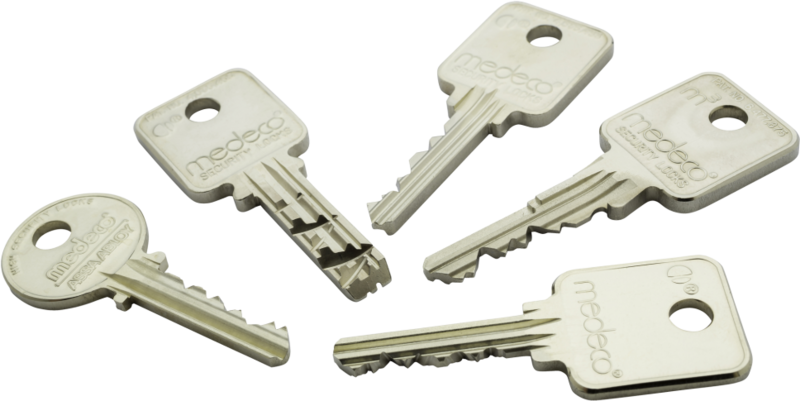 Distribution of many of their key “blanks” are also controlled, limiting access to only trusted key duplication partners (like KeyMe!). Your average lock is a very simple contraption. It has 5 pins that are manipulated into place by the teeth of your key, preventing the cylinder from turning without the right key. A standard 5-pin lock can be picked in a minute or two with relatively little training (insert video). 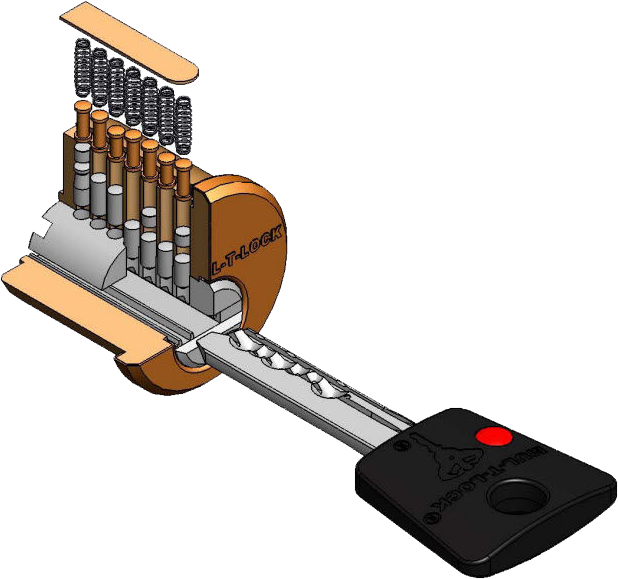 Some lock manufacturers, like Medecco or Mul-T-Lock, have features which make picking much more difficult. These include locks with additional pins (7 instead of 5), features on the pins such as angles or dimples (insert photo), and tight tolerances within the lock. If your lock can’t be picked easily, the most common practice of thieves is to drill the lock or break it with force. Locks using stronger materials and high quality manufacturing make this much more difficult. If you are a consumer and are unsure of the restrictions on your key, or you happen to have one stamped ‘Do Not Duplicate,’ visit a kiosk today, insert your key and follow the prompts. 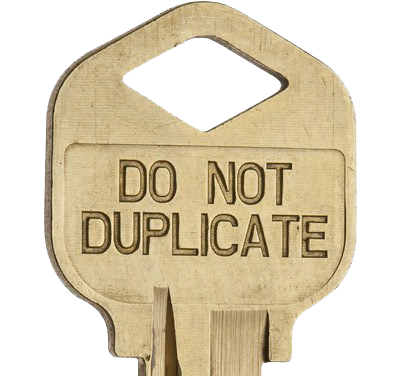 Get your “Do Not Duplicate” keys copied today by visiting your local key copying kiosk. Click below for details.